Charise Mericle Harper loves to make stuff. She says, "It's fun, it's easy, and its better than watching TV." She has published over 25 books in only ten years. Many are picture books, but she has also written the Just Grace Series, about third grade girl that loves to draw comics and the Fashion Kitty Series, a graphic novel series about a kitty that helps other kitties with wardrobe problems. In addition to all the books, she also shares loads of fun material on her Drawing Mom blog and Twitter. She started her career writing the comic strip Eye-Spy that was syndicated in many newspapers and magazines. Her comics were well received and she was looking for support to publish a compilation of her work. An agent ended up suggesting that she write children's books. Amazingly, it only took her six months to sell her first book, When I Grow Up. 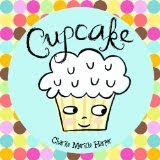 My favorite book I read this week by Charise Mericle Harper was Cupcake. I think I read it a total of a dozen times. I read it many times to my children, but I also had the opportunity to read the book aloud to a few groups of second graders. The story is about a plain white cupcake that doesn't get selected from the plate. This causes many tears for Cupcake. Luckily, Cupcake is quickly comforted by Candle, who is suffering from the same social isolation as it is only plain green. Candle has the "bright" idea to place toppings on Cupcake. However, his ideas are quite silly (which amused my kids, the second graders and ME!). The book ends in a quirky and unexpected way. I made a quick printable comprehension activity to use after you read the story. Pink Me Up was another favorite book of our family this week. It is about a young bunny who is extremely excited about the pink themed party she plans on attending with her mom. However, Mom comes down with an illness and her dad volunteers to go in her place. The problem is that dads normally do not wear pink and this was a "pink-nic" event. Dad is a good sport and allows young bunny to "Pink"him up. Very cute! I ran across the "About Me" page on Charise Mericle Harper's website. Within this page there is a "Map of Me" that allows you to learn more about Charise. If you click on her "brain" there is a short video that takes you on tour of her studio. She shares a few of her favorite things that she has made or people have made for her. My favorite item was a paper cube that she made about her mom. Each side of the cube is an illustration of something special about her. We made our own "About Me" cubes using this template and a little creativity. 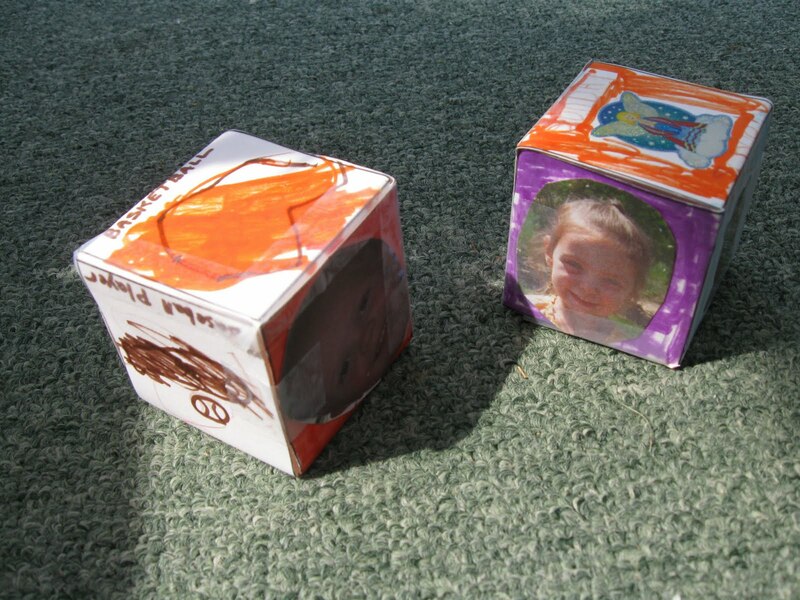 I thought it would be quite an accomplishment to make one cube with each of my children. 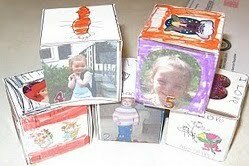 However, my daughter thought this was the coolest activity and made a cube for each year of her life! The biggest tradition I had growing up was that my mom would always make my birthday cake and I would always celebrate with my family. I didn't have a lot of big parties. I'm more of a quiet family birthday kind of gal and always have been. The first year I was away for my birthday was when I was 20 years old. I went to Europe with a friend for one whole year. 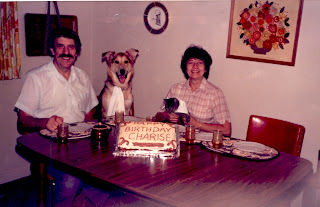 As my birthday got closer (this was my first birthday without my family), I got sadder and sadder until I received a picture in the mail. The picture changed everything. My family made a cake for me even though I wasn't there. To this day it is my favorite family picture and one of my most prized possessions. To me it says love! Thank you so much for sharing, Charise. A very heartwarming story. The birthday cake picture made me teary-eyed. That really does say "love."